Watch real business owners and employees describe how Franpos has made daily operations more convenient and streamlined. Find out how Murad is currently using Franpos to empower their business. With storefronts all over the world, Murad requires a robust POS solution to manage their inventory. Franpos delivered a customizable solution, which has helped grow the global brand. Learn how you can set your franchisees up for success with the world’s most powerful franchise point of sale solution. Find out how Traeger Grills is currently using Franpos to empower their business. With their massive amounts of orders from all over the nation, Traeger Grills needed a robust POS provider. Franpos delivers a customizable solution, which assists the company in delivering a quality experience. 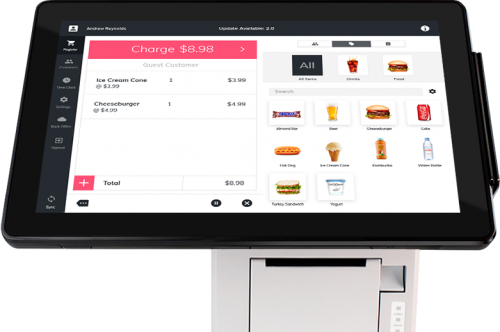 Learn how Chicken Express is benefiting from using Franpos—a simple, yet robust franchise POS system. Want to be the next Franpos success story? Let us show you how simple and effective Franpos could be for your business.